Thanks to Gigi chandelier earrings you can create bohemian look. 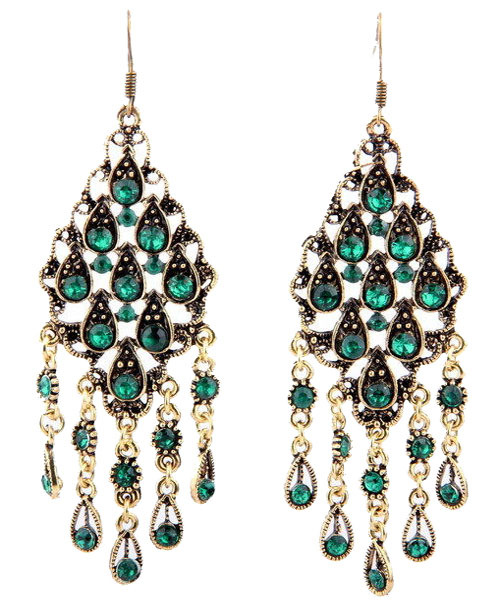 The earrings feature bluish-green crystals and beads in metal framing. Hook fastening for pierced ears only. Oz Bling's jewellery Australia offers huge ranges, simple shopping, fast shipping and superior customer service.